How to Check Your Tyres! The summer holidays have arrived! The summer holidays are fast approaching and there's no doubt your car, caravan or motorhome will be doing its fair share of miles during the next 6 weeks. Whether you're driving to the airport or escaping to the nearest UK coast line or big city, the legality of your tyres is something that should be at the front of your mind. There are many parts of your journey you are unable to control, from the behaviour of other drivers to the unknown surprises the weather can throw at you, one thing you can control is the condition of the tyres on your own vehicle. The statistics of the number of drivers with illegal tyres has been worryingly high in recent years, defective tyres have been said to cause 40% of accidents on our roads. Before you set off on your summer holidays, ensure you and your passengers are safe by taking out the following simple checks on your tyres, it only takes a couple of minutes and could save your life! Check your pressures - the correct pressures for your vehicle can be found in the owners manual, if your pressures are too high it will affect the steering of your vehicle and your tyres will quickly wear in the centre of the tread. If they are underinflated the outer edges will wear much faster which can lead to side wall damage, the steering will also feel very heavy. Check your tread depth - the legal wear limit is 1.6mm in the central ¾ of the tyre. One of the easiest ways to check this is the simple 20p coin depth indicator! Take a 20p coin and insert it into the groove of the tyre tread, the band on the outer edge of the coin is the exact limit, if you can see ANY of the border you definitely need to get those tyres changed. Ensure you check a number of points across the width and circumference and check ALL 4 tyres. Check for bulges and cracks - simply look for any obvious defects in your tyres, from cracks in the rubber to bulges and cuts in the side wall of the tyre. For more information on checking your tyres, just click here. If you're still unsure whether your tyres are safe and legal, give us a call here at Hometyre! We are more than happy to help and can arrange for a time and date to suit you to have your local fitter come out to your home or work to ensure you're safe and legal ready for those eagerly anticipated summer holidays! Real Madrid sign Hankook on a three year deal! In yet another link up between giants in both the tyre and footballing world, it's now Hankook's turn to promote to a massive footballing audience. "This strategic partnership with one of the world's best football clubs is a gift to our customers and of course the fans of the Hankook brand around the world," said Mr. Seung-Hwa Suh, Hankook Tire's Vice Chairman & CEO. He added, "As Hankook Tire and Real Madrid share the culture of winning innovation in respective fields, we believe that the partnership would be another stepping stone for both parties to enhance reputation as premium brands in the global community. Hankook Tire will provide outstanding driving performance to our customers matched with Real Madrid's outstanding contribution to football." Hometyre supplied and fit the full range of Hankook tyres for car, van, sports, 4x4 vehicles. Call us today. Summer is here... sort of! 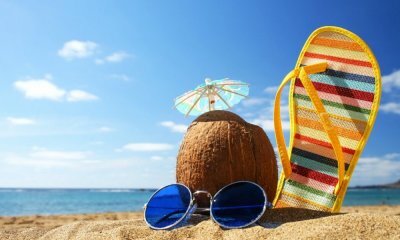 Despite the hit and miss weather, the summer months have finally arrived and the school holidays aren't far off! With them comes the time to dust off your caravans and motorhomes to head out onto the road for weekends/weeks away. It's easy to get caught up in the excitement of booking your holidays but if you're going to be taking your caravan or motorhome out onto the road this summer we cannot stress the importance of those simple tyre checks! Many people find that tyres on this type of vehicle will need to replace them due to cracking of once the tyres are older than 5-7 years, so even if you take a look at the tread depth and it seems fine, make sure you look for any cracks in the rubber. It is also important to check your tyre pressures, the correct pressures for your vehicle, information on this can be found in the owner's manual, NEVER over-inflate your tyres higher than the maximum pressure stated. Whilst you are inspecting your tyres, also look for any bulges or slits in the side wall of the tyres, if you are still unsure on how to check your tyres, click here for more information or alternatively you can phone our helpful team on 0333 444 5454. Another great option for ensuring your safe on the roads is to have TYRON Bands fitted, these keep the TYRE-ON in the event of a blow out, which could stop severe damage happening to your caravan when travelling down the motorway or even save your life. For more information on TYRON Bands and how they work, click here. To speak with one of our team regarding having TYRON Bands fitted to your caravan or motorhome, call 0333 444 5454 now! Following the UK's recent exit from the EU there is, and no doubt will be for some time to come, continued speculation regarding import pricing and potential fluctuations globally. While it is fully anticipated to hold the headlines for a period, it is also recognised that the world will continue in much the same vein as before and that barring a little prevaracation here and there, stability will ensue. The UK tyre industry does not foresee any forthcoming difficulties either in the supply of new tyres to the UK or any particular effect on pricing for consumers henceforth. The UK represents a significant market for many global brands and these relationships are likely to be further enhanced post EU rather than jeopardised. Hi, it's Tony here at Hometyre. I am asking for your help today to raise awareness of Pancreatic Cancer. Sadly my lovely wife Christine passed away 2 years ago today from this silent killer and around 9000 people are diagnosed with this aggressive cancer each year. As with so many causes the research funding to find screening programs are lacking and very much left to charity organisations like the Pancreatic Cancer Research Fund (PCRF). 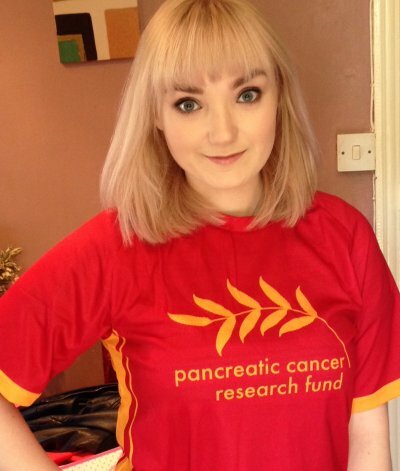 The PCRF do outstanding work to raise awareness and funds, on the 9th of October 2016 they have organised a half marathon event in central London. Electric/Hybrid Vehicles are becoming more popular amongst motorists, the demand for electric vehicles rose by 48% last year and plug-in hybrid vehicles by a massive 113% according to reports by BusinessGreen. Data released earlier this year by the UK's Society of Motor Manufacturers and Traders (SMMT) shows that the number of new cars eligible for the Plug-in Car Grand Scheme is now at 28,188, a huge increase from the previous figure of 14,532. Eco-cars are simply designed to be more environmentally friendly than typical petrol or diesel powered vehicles. This is mostly due to the heavily reduced carbon emissions, or because they use more sustainable fuel or power sources, both of which result in less harm to the environment. Another way these vehicles have been made more fuel efficient is by reducing the width of the tyres, this reduces the rolling resistance which leads to lower fuel consumption. The good news is the progress and enhancements in tyre technology has allowed for this not to affect the safety features, performance or grip of the tyre, keeping you just as safe on the roads. In comparison to petrol/diesel powered cars, there are very few electric/hybrid vehicles on UK roads at the moment. 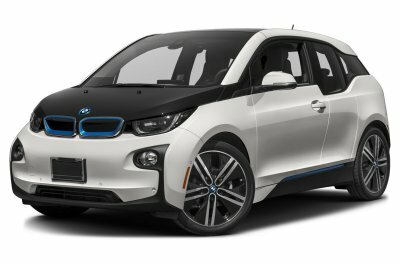 However as the demand for them increases due to the popularity of cars such as the BMW i3, here at Hometyre, with our state of the art fitting equipment, we are able to supply and fit tyres for these vehicles. For more information on tyres for electric/hybrid cars, call our friendly team on 0333 444 5454. Maxxis launches first Run Flat tyre! Maxxis have launched a new tyre this year, this time coming into the run flat category. 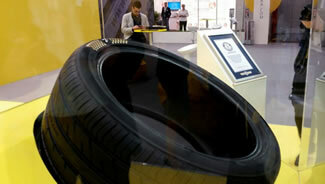 This tyre was unveiled at Reifen 2016 last month in Germany. The M36+ is a huge new line for the tyre industry as it continues the innovation for tyres in the mid-range market. 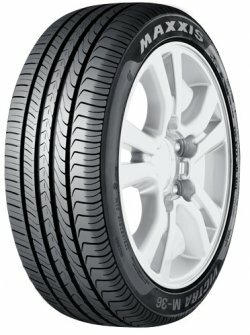 The M36+ runflat is designed to deliver performance in both wet and dry conditions, it has an advanced bead filler rubber compound which minimises heat generation and tyre deformation. The new Maxxis Run-Flat System (MRS) was developed with Maxxis' latest rayon body ply material which contributes to an increase in heat resistance, high durability and higher levels of safety. Until recently, the majority of manufacturers of run flat tyres were premium brands, such as Pirelli and Bridgestone, the release of the Maxxis M36+ into the European market will be huge for customers looking to keep run flat tyres on their vehicle but at a slightly lower price. The M36+ was released in the UK in May and here at Hometyre we are able to supply and fit this new run flat tyre. To find out if we have availability in your size, simply enter your details into our website by clicking here, if you are unable to find the tyre you are looking for, don't give up there! Call our friendly sales team on 0333 444 5454 and we will be more than happy to help. 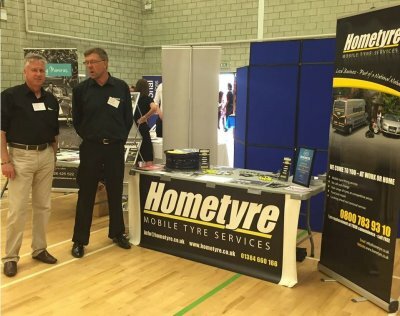 I was pleased to be invited to help support Woody (Hometyre West Midlands) at the The Best of Walsall "The Walsall Networkers Expo" last Friday (10th June) at The Performance Hub Wolverhampton University. The networking event was well attended and it was great to see how very well respected Woody was within the business community, I think pretty much everyone there was a customer of his! It just goes to show that by regular business networking and growing your business through referral really works. Euro 2016 - ready for kick off! 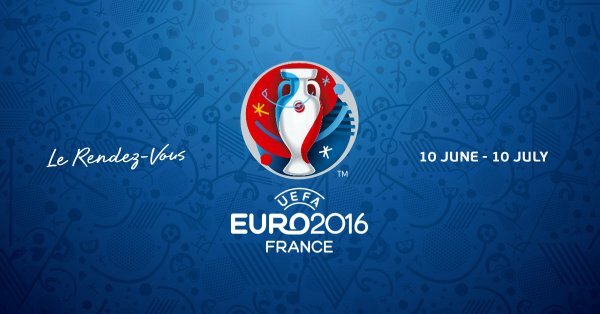 The football season continues with Euro 2016 kicking off on Friday and lasting several weeks across various towns and cities in France. Many of you will have been counting down the days to the start of the tournament but others may be doing all they can to avoid the football hype! For one, Continental have been doing all they can to promote it due to them being official sponsors of this summer's event. As part of their sponsorship deal, Continental will equip transfer buses for all 24 qualifying teams taking them all over France to the ten host cities with their premium brand commercial tyres. An exclusive special edition tyre will be used for the tournament, the Conti Goal HA3, the size 295/80 R 22.5 was developed in Germany by the manufactures engineers. In addition to the team buses, the specifically designed Conti tyres will also be fitted to 20 VIP buses provided by selected transport companies. The head of global research & development of commercial vehicle tyres at Continental, Geert Roik, has explained that the tyres have been specifially designed to ensure the teams enjoy safe and comfortable travel. He added "What distinguishes the Conti Goal HA3 tyres from the basic Conti CityPlus HA3 product like are the numerous football pictograms in different sizes, the official logo of UEFA Euro 2016 and the orange Continental logo on the newly designed side walls." We may not have the specific Euro tyres but here at Hometyre we provide many Continental tyres in a variety of sizes. If you would like to arrange for fitting at your home or work address, simply visit our homepage to book via our online booking system or call us on 0333 444 5454 to chat with a member of our friendly team! Get your new tyres sorted now in time to sit back, relax and enjoy the Euros! New technician Chris to cover East Sussex! We're very excited to have coverage of a new area this summer with Chris joining us in East Sussex. He will be covering areas such as Eastbourne, Hastings and Bexhill. New tyre replacement - car, 4x4, light commercial vans, caravans, trailers and motorhomes. If you've never used a mobile tyre fitting service before, don't worry, it's all done at your convenience! We book appointments to a specific date and time that suits you, either at your home or work address meaning there is very little disruption to your busy schedule! Chris may be new to us but we have been operating in the UK for over 13 years and cover a large section of the country already. We have tens-of-thousands of loyal and happy customers, to see what some of them have to say click here, we always ensure we offer high levels of customer service, with the happiness of our customers as our main priority. Make sure you keep an eye out for the date Chris starts operating in your area, we'll be sure to keep you updated! If you need replacement tyres in East Sussex this summer, try us! It may be the end of an era of having to leave your house or workplace to buy new tyres or have one repaired! Stay safe this half term! With the buzz of half term only a couple of days away, now is the perfect time to carry out those all important tyre checks! Whether you're simply going away for a long weekend to celebrate the bank holiday or going for a half term escape and enjoying a week away in your caravan/motorhome with the family, here at Hometyre we cannot stress the importance of checking your tyres enough. There's nothing worse than planning your weekend down to a T and then coming to pull off your driveway to realise your tyres are illegal due to low tread or cuts/bulges appearing in the sidewalls. 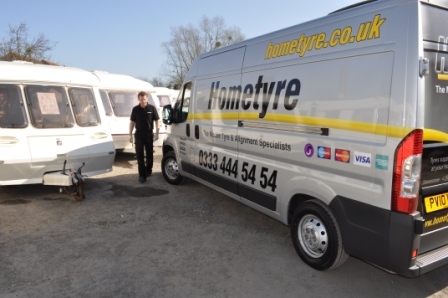 At Hometyre we offer a FREE no obligation tyre check at your home or work, allowing you to carry on with your busy schedule with little interruption, taking all of the stress out of the situation for you! If you would like to check your own tyres, simply click here to follow our simple guide, if you're still unsure or have any doubts regarding the condition of your tyres, just give us a call and we will book you an appointment with your local technician! If you have inspected your tyres and are sure you need them replacing, you can browse our large selection of available tyres by visiting our homepage and booking your appointment online using our simple booking system. If you have an exact tyre in mind and cannot find it on our website, don't give up! Simply call our friendly team on 0333 444 5454 and we're more than happy to help! The world's most expensive tyre was recently presented by Zenises at the Reifen Show launch event, the Guinness Book of World Records have confirmed that a set of these tyres, coming in at $600,000 (equivalent to over £410,000), are officially the most expensive in the world! These tyres are available in 295/35 ZR21 107Y XL, for anybody who was thinking of getting a set, and are gold and diamond encrusted. To put this into perspective, this is a much higher figure than the previously known most expensive tyres which are made to be fitted to an Airbus A380, coming in at around £63,000. So next time you need to replace your tyres, know that it could always be worse! Bespoke P Zero tyres released! Back in March this year we wrote about exhibitions displayed by Pirelli to show the development of bespoke tyres for specific vehicles, to read this just click here. Since the show Pirelli have launched its latest P Zero tyre in Portugal, combined the tyres extreme performance with a "made to measure" aspect. Pirelli have designed these tyres to have better road-holding at high speed, even wear, decreased noise and rolling resistance alongside better prevention against aquaplaning. Pirelli have been improving the quality of the P Zero for 30 years when the first P Zero appeared, Pirelli believe that the stated characteristics of the newest P Zero make it the most advanced technology currently available. Pirelli have said the new P Zero has high levels of performance due to the new under layer compounds, these are designed to improve rolling resistance and handling. Pirelli have also shown improvements to the tread pattern, it now has deeper longitudinal grooves, these enable the tyre to disperse larger amounts of water leading to that all important reduction in the risk of aquaplaning. As well as being designed primarily as an F1 tyre, aiming mostly at rapid and precise steering response, grip and all round high performance, Pirelli have also focused on reducing rolling resistance by using an 80% silica compound, this has been said to reduce rolling resistance by 15% resulting in better overall fewer consumption leading to lower emissions. Here at Hometyre we have a large range of Pirelli tyres available to be fitted to your vehicle at your home or work address, to see what we have available in your size and to check we cover your area just visit our homepage and enter your details! If you need any advice on your new tyres, simply call our team on 0333 444 5454. As many of you out there know, whether you're a Star Wars fan or not, today is Star Wars Day! Here at Hometyre we want to make sure the force is with you by ensuring you carry out those all important tyre checks! Don't go over to the dark side by having illegal, non-road worthy tyres! You can either check your tyres yourself by following our simple guide or call us on 0333 444 5454 and arrange for your local technician to come and check your tyres at a time and date to suit you - free of charge! May the 4th be with you, from all of us here at Hometyre! Defective and worn tyres are one of the largest contributors to accidents on the road in the UK, this is becoming a more well-known fact as awareness of tyre safety is continuing to rise. Bridgestone has called on the UK Government to introduce mandatory fines on motorists who drive with defective or worn tyres. The Irish minister for transport, tourism and sport, Paschal Donohoe has already announced the new fixed charge notice offence for motorists driving on illegal tyres, effective from mid-April and Bridgestone believe the UK should follow Ireland's lead. While there are already penalties in place in the UK for driving on illegal tyres, including three points and a maximum fine of £2,500 per tyre, as per CU30 law, it is only seen as a summary offence and not mandatory, with all charges needing legal prosecution and very few being enforced. Bridgestone believe that a fixed fine will promote greater awareness amongst motorists of the hazards of driving with tyres that are not in roadworthy condition and therefore dangerous to the driver, their passengers and other motorists on the road. 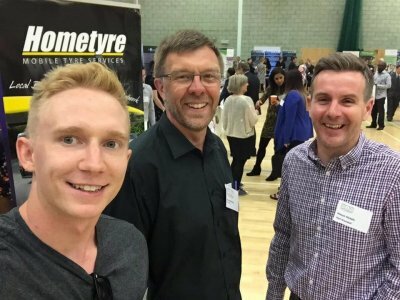 TyreSafe is a national non-profit organisation promoting the importance of safe and legal tyres, the organisation carried out a survey in partnership with Highways England of the tread depth of tyres at the point of replacement, from February to May 2015. The results of this showed that more than ¼ of all drivers had an illegal tyre on their vehicle, suggesting that potentially 10 million tyres on the roads of England, Scotland and Wales were dangerous and illegal last year. Managing director of Bridgestone, Robin Shaw, believes that the measure would not only improve road safety and awareness, but could also generate funds to be reinvested into general road safety. He said, "If a fixed fine, as is the case in Ireland, results in motorists checking their tyres and replacing as necessary, then it can only be a good thing. The average stopping distance of a new tyre with 8mm tread depth is around 26 metres compared to around 38 metres on a worn tyre at 1.6mm tread depth. So it can literally be a matter of life and death." Here at Hometyre we cannot stress the importance of ensuring your tyres are safe and legal, to see our guide on how to check your tyres, just click here. If you need any advice or would like to book your location technician to come out for a tyre inspection, call our team on 0333 444 5454. Michelin tyres perfect for Fleet Vehicles! Michelin's CrossClimate tyre range has been awarded the Fleet News Award for Best New Product 2016, this tyre is the world's first summer tyre with winter tyre capabilities. 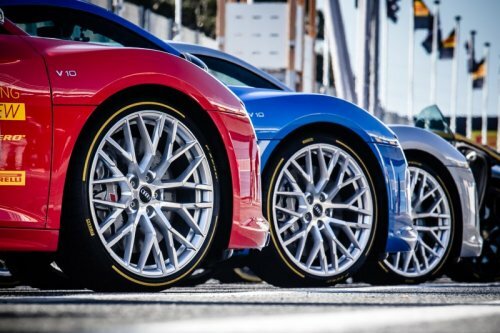 These tyres have been called a 'game changer' along with Michelin's most important tyre launch for a decade. In fact, these tyres are already fitted to a large fleet of 13,000 British Gas vehicles, Fleet Manager Colin Marriot said "I was impressed by the performance of the CrossClimate tyres. On dry roads there was absolutely no doubt they performance as well as Michelin's summer tyres, and they outperformed the winter tyres and all-season tyres by some margin". British Gas have since said they will be asking OEMs to supply CrossClimate tyres on all of its new vehicles where possible. 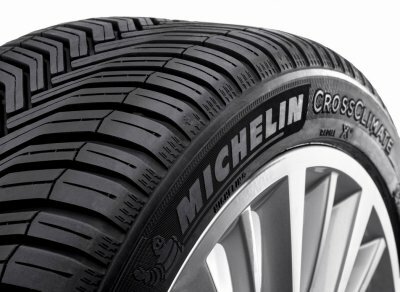 Following the award win, Andy Fern, Michelin's Head of Fleet, said "CrossClimate tyres offer a unique solution to the problem of maintaining fleet safety and mobility when faced with Britain's unpredictable weather", the tyres are not only suited to fleets of all sizes, but also to private motorists who are looking for a solution to swapping their tyres twice a year. Here at Hometyre we offer free, no obligation, fleet inspections at your work place, just call us today to discuss your requirements and we can arrange for our technician in your location to come out at a time to suit you. The Pilot Sport Cup 2 tyre is a high performance tyre from Michelin, it is a development of the Pilot Sport Cup +. The tyre was designed to have improved wear, high speed stability and better handling resulting in faster lap times. Specially developed versions of the MICHELIN Pilot Sport Cup 2 tyres have been developed and will be the sole original equipment (OE) fitment on the new limited special edition model BMW M4 GTS. The M4 GTS is a track car that is approved for road use, therefore the job of Michelin's engineers was to design an ultra-high-performance tyre which maintains its safe and high standards both on road and track conditions around the world. These specialised tyres have been produced using not only Bi-Compound asymmetric tread patterns but also an asymmetric casing design. This offers the optimum balance between handling, grip and tyre life. The Pilot Sport Cup 2 tyres also incorporate the motorsport-developed Track Variable Contact Patch 3.0. This optimises pressure in the tyre's contact patch so the same amount of rubber is always in contact with the road or track, whether driving in a straight line or cornering. All of these contributing factors mean the Pilot Sport Cup 2 tyres are ideal for the limited edition vehicle. Here at Hometyre we offer a variety of Michelin tyres, available to be fitting at your home or work to your vehicle. If you know the exact tyres you require, just click here to enter your details and search online. However if you cannot find what you're looking for or need further help choosing your brand new tyres, simply call our team on 0800 783 9310. The eagerly awaited technology 'DriveGuard' by Bridgestone has now been launched across the UK and we are stocking available sizes here at Hometyre! Bridgestone have released a diverse nationwide advertising campaign promoting the product, this campaign features cinema presence, television and full motion video boards in many major shopping centres. This campaign will not only be launched in the UK but across Europe as well, in countries including France, Germany, Spain and Italy. Social media will play a big part in engaging the interest of consumers by promoting a quiz contest linked to a DriveGuard mini-site. The marketing of this particular product centralises around the idea that "there's a puncture waiting with your name on it" and is mostly aimed at family audiences with the main film production showing a mother driving her young children on their journey home and continuing to drive safely following a puncture. Thierry Jupsin, Director Brands Marketing, Bridgestone Europe says, "Bridgestone DriveGuard is a unique new product in Europe and the advertising breaks new ground - targeting young families and appealing to modern family values of safety and peace of mind". To find out whether we have the brand new technology by Bridgestone available in your size to be fitted at your convenience either at home or work, just call our team on 0800 783 9310. Goodyear have recently released the Goodyear Eagle F1 Asymmetric 3, read more by clicking here, it has now been announced that this tyre has been chosen for the brand new Mercedes-Benz E-Class. The high performance tyre by Goodyear has already been accredited with fitments on the E-Class, it's not surprising that Mercedes-Benz have chosen this particular tyre, it offers ultimate braking performance in both wet and dry conditions, as well as reinforced construction technology leading to improvements in handling, cornering, fuel efficiency and tread wear. Martijn De Jonge, Brand Director Goodyear said: "We are happy to be welcoming our new product into the market with strong OEM fitments, including the Mercedes-Benz E-Class. The product is our best yet and we are thrilled with the evolution of the product. The next generation technologies developed by our skilled engineers provide superb performance in both dry and wet conditions whilst still maintaining fuel efficiency levels which is an important factor for OEMs and today's motorists." To see if we have the new Eagle F1 Asymmetric 3 available in your size, simply click here and enter your details, you can filter your results to just Goodyear tyres or browse our whole selection of tyres suitable for your vehicle. If you require any help choosing your new tyres, just call our friendly team on 0800 783 9310. 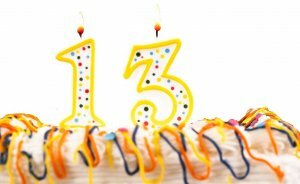 13, an unlucky number for some, fortunately not for us here at Hometyre! April 2016 sees us celebrate the 13th anniversary of the launch of our mobile tyre service. From our very first van initially covering the Shropshire area, we have now grown to offer service over large areas of the UK, from as far north as Aberdeen down to as south as Brighton, with many more areas to come! After 13 years we still pride ourselves in high levels of customer service, something often overlooked these days by many high street retailers. We also remain competitive with our prices, knowing that any savings we make can be passed directly on to our customers. This shines through in the testimonials often left on our website by both new and existing customers, just click here to take a look at the thousands of reviews left by satisfied clients. As always, we would like to send out a huge thank you to both our customers and our suppliers who have supported us and remained loyal to us over the years. 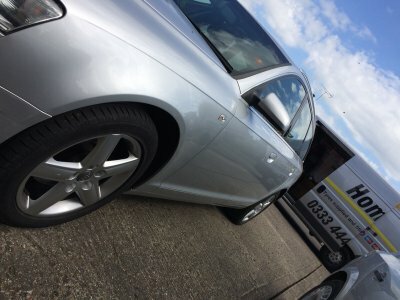 We also look forward to welcoming many new customers in the future who will experience the ease of having their tyres changed either at home whilst they're having a cup of tea on the sofa or at work where they are able to carry on with little interruption to their busy schedule, all at a time and date to suit them. We're positive here at Hometyre that 13 won't be an unlucky number and we will continue to grow and develop as a company, whilst still keeping our customers' satisfaction and peace of mind in our friendly and trusted service as our main priority. What is your registration number? Wheel Size Select 12" 13" 14" 15" 16" 17" 18" 19" 20" 21" 22" 23"
or click here to enter your reg. If these details don't match your vehicle, check your registration and try again. Are the tyre prices I see fully fitted? How much space do you require in order to work on my vehicle? How do you balance my wheels? I have a punctured tyre. Will you be able to repair it? My caravan/motorhome is kept at a storage site. Can you change the tyres there? I've lost my locking wheel nut - can you still get the wheels off? What if I need to cancel my booking with you? Do you supply AND fit tyres?